In this major study, Peter Zarrow examines how textbooks published for the Chinese school system played a major role in shaping new social, cultural, and political trends, the ways in which schools conveyed traditional and 'new style' knowledge and how they sought to socialize students in a rapidly changing society in the first decades of the twentieth century. 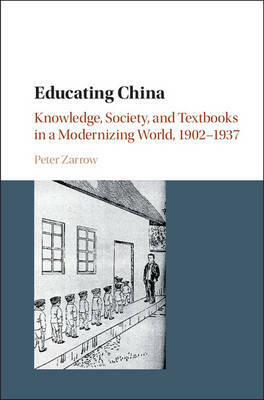 Focusing on language, morality and civics, history, and geography, Zarrow shows that textbooks were quick to reflect the changing views of Chinese elites during this period. Officials and educators wanted children to understand the physical and human worlds, including the evolution of society, the institutions of the economy, and the foundations of the nation-state. Through textbooks, Chinese elites sought ways to link these abstractions to the concrete lives of children, conveying a variety of interpretations of enlightenment, citizenship, and nationalism that would shape a generation as modern citizens of a new China.